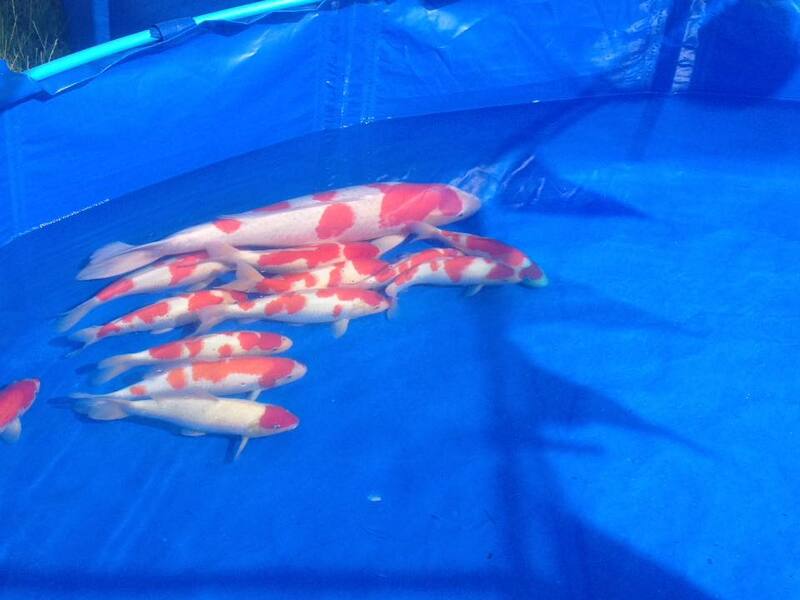 Deposited my home breds at the East of England Koi Show last night. Going through the tosai on Friday morning - I ended up taking more than I was planning, in part because I want to show off the results of a lot of work - and, to be honest, I'm not sure how to rank some of them so with a bit of luck - I may get some intel in the way they fare in the judging. 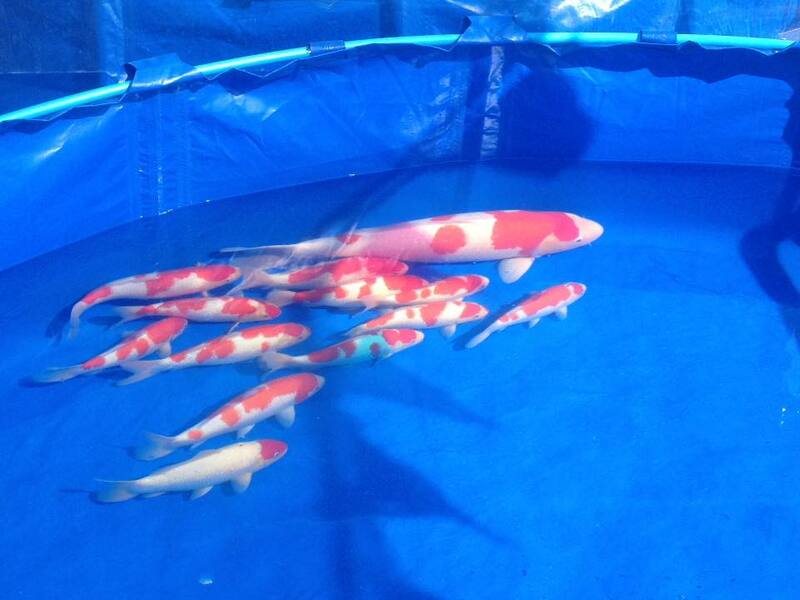 I've added my new brood fish, the large takigawa female kohaku that Mike Snaden found for me on his last Japan trip. Impossible to mistake her for one of my home breds when you see the vat, and wanted to give her a run out at the show before spawning her in the next week or two. The show gound is looking awesome, and you can't beat an outdoor show when the weather is fine like this weekend. A quick walk around the vats last night, and there are so many top koi on show for all to see - it's been a few years since I was last at the show (as a show ring helper, and exhibitor) and the range of dealers they have there now is particuarly good. Perfect place to buy a koi this weekend as you get to see the products from lots of dealers in one place. After promising to take photos of my trip - I failied miserably! Thankfully, Jason O'Brien took a few snaps this morning of my vat - it's number 23! Good luck to all the exhibitors, and a big thank you to the organisers and show helpers who've done an amazing job, I really must get somewhere with shiro and showa .... just to add another colour to my vats it the future! Hope to see you Sunday, and please say hi if you're there.